Asking a Ukrainian girl to give up her perogy recipe is as close as you can get to asking her for her firstborn. 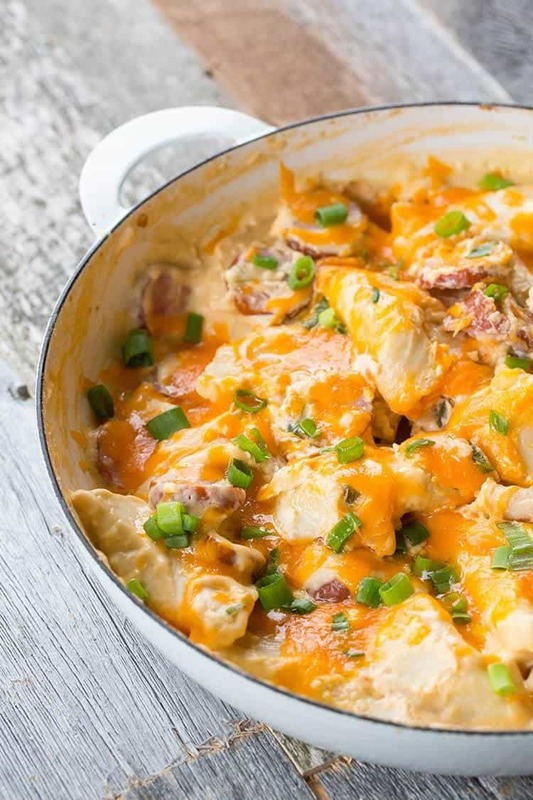 It’s almost unheard of to be sharing a recipe that is this crazy good. 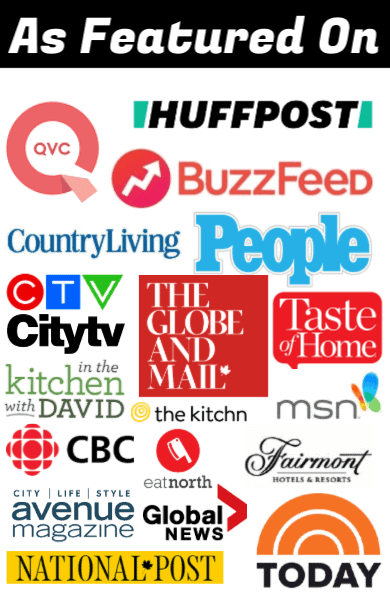 Really though, perogie recipes are are heavily, and I mean HEAVILY guarded secrets. Being lucky enough to be surrounded on all sides of my family by Ukrainian, Polish and Russian relatives, I have a few secret perogy recipes and I’ll be sharing one of my favorites with you today, because that’s how much I love you. As a good Ukrainian girl, it was bound to happen that I was making homemade perogies and hamburgers in the same day. Ok fine, it was my mom that was making the homemade perogies, but cut me some slack, I had just finished getting my cookbook manuscript in. She came up to Edmonton and we had a perogy-making, pie-baking kind of day yesterday. The pie was my Impossible Saskatoon Pie, a gorgeous one bowl magic pie. Oh yes indeed, this pie is magic, as you mix up all the ingredients in one bowl, pour them into a buttered pie plate and then it forms a gorgeous custard pie with a Saskatoon Coconut topping. 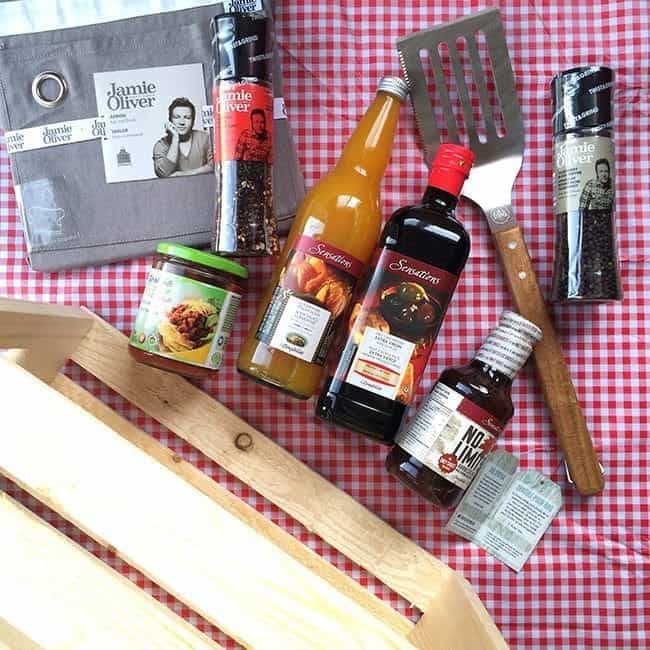 I was inspired to make burgers thanks to the lovely gift package that the fabulous team at Sobey’s sent me this past week. Am I spoiled or am I spoiled??!! Oh, that Jamie Oliver cracked pepper was perfect in my perogies and the olive oil was perfect for roasting garlic. 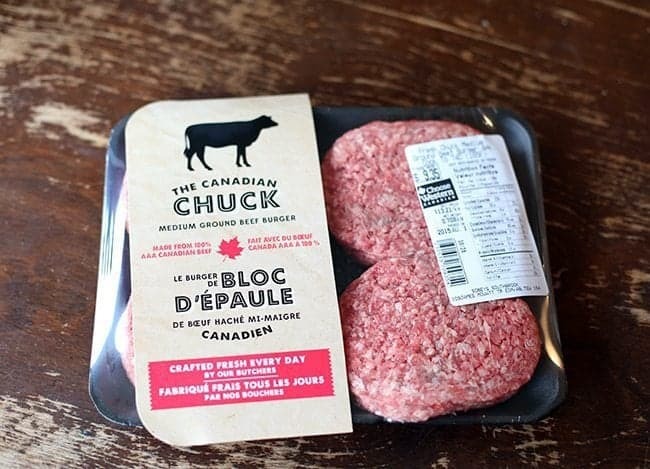 I had been meaning to check out their newest burgers, The Canadian Chuck, for a while now and their lovely gift package inspired me to finally get in gear and pick some up. Listen. 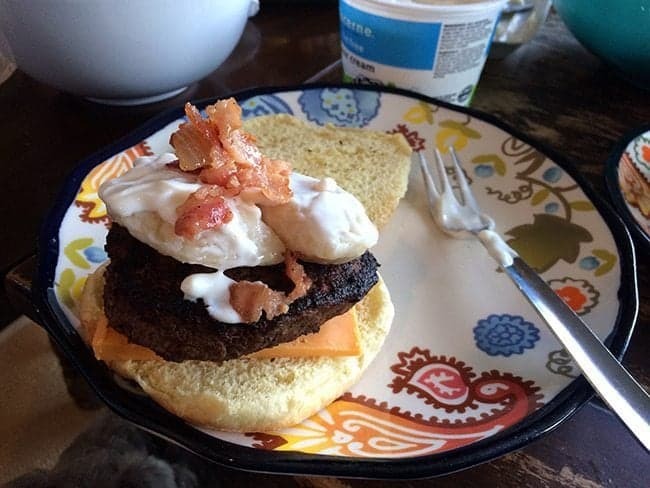 When you’re working on an all dessert cookbook, you don’t have time to be making homemade burger patties. I’m sticking by that story. What’s this? 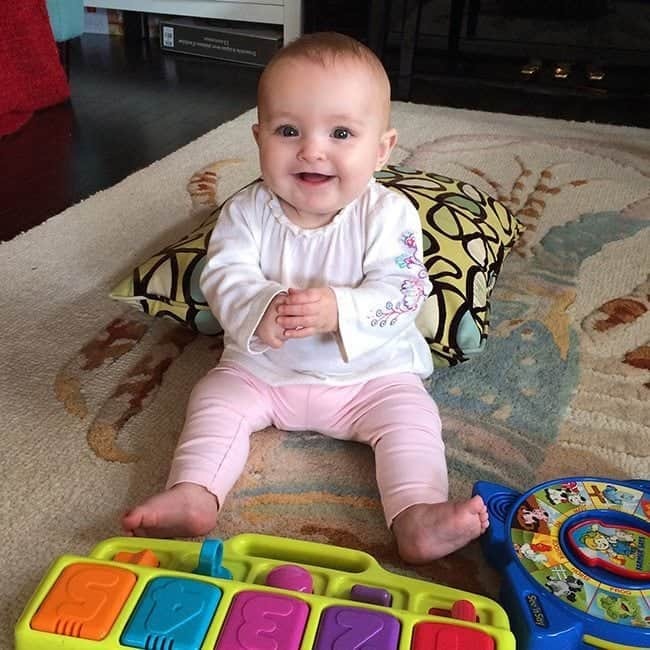 A random cute baby niece photo? Why yes, yes it is. She’s getting so big, so fast and let me tell you, every time that she visits my ovaries go into maximum overdrive. It really doesn’t matter that I have what I consider Ming Dynasty eggs at this point, I still want another baby sometimes. She was also over for dinner that night, though she enjoyed a mashed banana, poor little dolly. There are so many delicious things await her, especially at Aunties house. So here’s the thing about perogies. I haven’t shared a recipe because to be honest, it’s a learned skill. 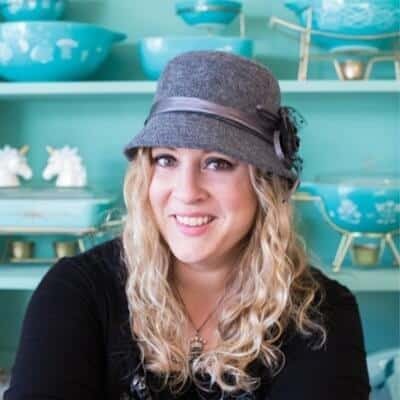 My Mom talks about how her Baba would stand in her kitchen, her mixing bowl under her arm and simply work the moisture into the dough with her fingertips, knowing the moment when she had the perfect dough. There is a feel to it that you only learn from someone who really knows their dough. I can tell you that any recipe that calls for you to mix the dough until smooth and elastic is the wrong recipe. We mix it gently and let the dough rest for an hour, no word of a lie, until it’s a velvety blanket of dough just waiting to encase the potato filling. You know how everyone claims that their family’s perogies are the best? Our family’s perogies really are the best around, bar none. 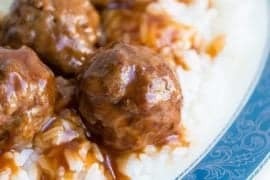 Everyone who has ever eaten at my parents house and has eaten them still remembers how amazing they are to this day. My siblings and I have friends from high school that still wax poetic about my mom’s perogies and relatives in all directions of my family tree remember my Grandma’s perogies. 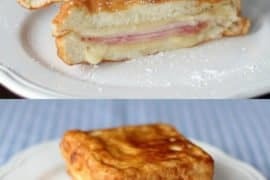 But here’s the thing, I can’t tell you how to make them. What I can do however is give you a small batch version and encourage you to try to feel your way to the right perogy dough. This is where the limits of the internet come into play, I simply can’t be there to help you, heck, I’m still developing my own perogy touch. The other thing? The filling amount is very hard to gauge as well. So if you have leftover filling, bear with me because our perogy making usually covers days at a time, with any extra filling simply going into the next batch of perogies. The real secret here, what takes it over the top, is the butter, bacon and onion topping (what we top our perogies with every time we make them) and the roasted garlic aoili. 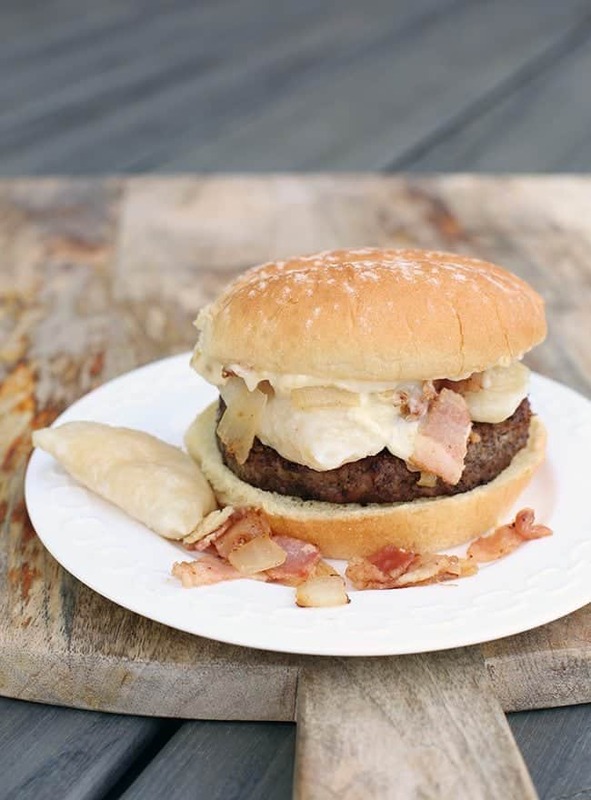 You can find a good perogy to top this burger with, but you really need to take this into the Ukrainian taste stratosphere with garlic, onions and bacon. No mustard or ketchup should touch this baby. Unless you are my weirdo brother Wyatt and you don’t like mayo (I don’t even think we are related, to be honest, because how is that even possible?) and you can put sour cream on top. He loved it, but trust me when I tell you that the garlic aoili is THE way to go. I am, in all honesty, in love with this burger. 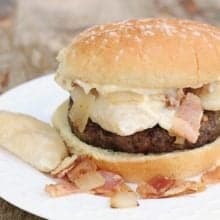 Since this post has three different recipes for you, I am sure that you can cook up a beef burger of your choice (those Sobey’s ones are EXCELLENT, by the way, we loved them) and then top with two perogies, a ton of the garlic aoili and then a couple of tablespoons of the bacon onion topping. 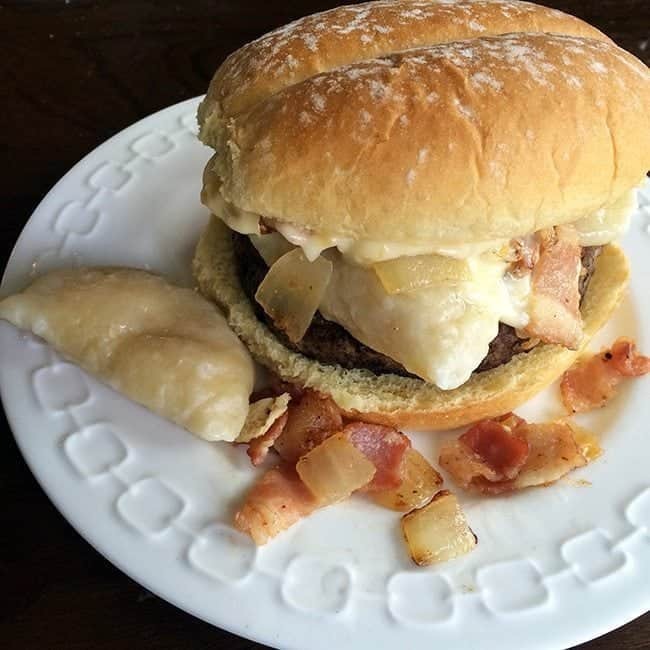 Then, my dears, you have Magpie’s Perogy Burger. Now really, those perogies are going to take practice, I’m warning you now, but it’s worth it in the end. Our recipe is a double of the ingredients listed below, but start with a small amount first. When I have time, I will post a full, in-depth perogy post with picures to help you out, but for now, this is a good start! P.S. While the team at Sobey’s sent me a lovely gift basket, they did it just spoil me like they always do. I did all of this on my own because I love them and I love their burgers. And I love Jamie Oliver, but really, who doesn’t? I will also be going back for one of those poutine burgers, mark my words. One of our family recipes for perogies! One of many, I hope that this one is the easiest for everyone to try! 1 1/4 cup of potato water save it from your potatoes! Boil your potatoes and drain, reserving the water for the dough. 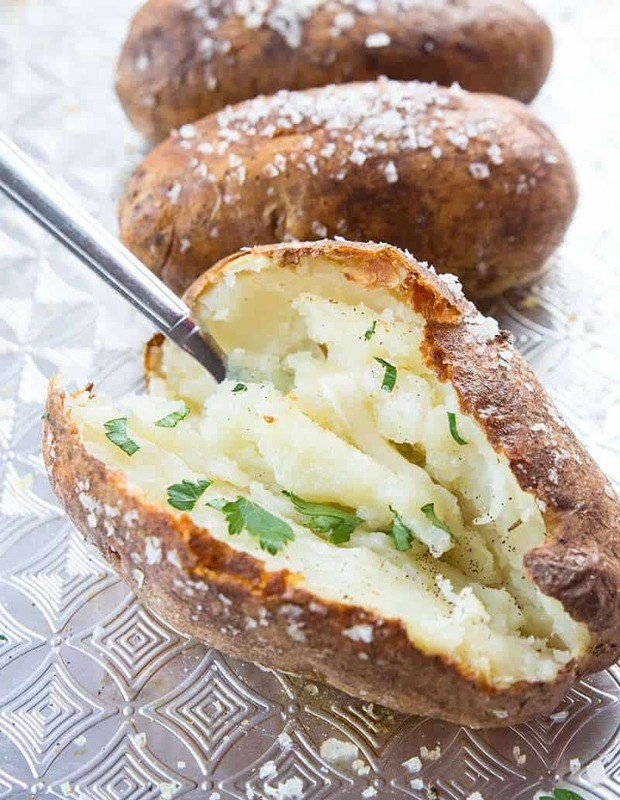 Place the still hot potatoes into a bowl and mash together with the cheese, salt and pepper until the cheese has melted and hte potatoes are smooth. Set aside. Combine the margarine and potato water in a large bowl. Mix in the flour and salt until soft, slightly tacky dough forms. It should not stick much. Cover with a clean cloth and let rest for an hour. Place a heaping teaspoon of filling into the centre of each dough circle. Pinch the sides until sealed. Place on a baking sheet and freeze, when they are frozen fill up a freezer bag with them and freeze together. To cook, bring a pot of water to a boil then place perogies in the pot. Boil until they rise to the surface, then cook for two minutes more. Drain and toss with butter to prevent sticking.. I love my aioli on the stronger side for a garlic taste, you can add two or three cloves to your liking. Pre-heat your oven to 425 Â°F. Slice the tops off of the garlic cloves, then drizzle with oil oil. Wrap in tinfoil and roast until soft, around 35-40 minutes. Remove and cool. Mash the roasted garlic then mix with the rest of the ingredients. This is what we use on all of our perogies. While I don't usually measure at all, I've come up with approximate amounts for you to use. Combine the ingredients in a large frying pan. Fry until the bacon is tender and the onions are cooked. Drain most of the grease out ( we leave a little bit) and place into a bowl. Use on your perogies mixed with sour cream or on your burger! Seriously combines the best of both worlds. 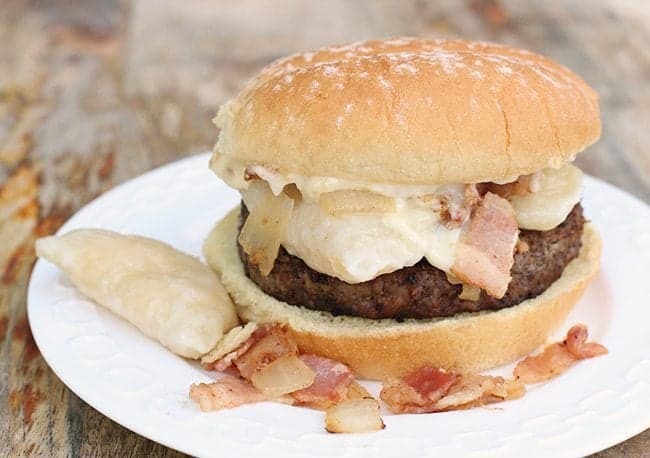 Who doesn’t love perogies and burgers? Brilliant. Will try creating this. Have you a great burger pattie recipe as well? Hahah I love sour cream! I just don’t like it on burgers. Shhh, I love my borscht! Soda Jerks, but I think my Baba would be horrified at a perogy on a burger…and mine doesn’t have sour cream, That’s just gross. This is a much better version lol. Sour cream doesn’t belong on a burger. On a perogy, yes. Burger, no. That is NOT Baba’s burger lol. Not even close! Baba would turn in her grave!